Gen Y-savvy companies across the globe are looking for the secrets to reach this influential, connected and often elusive generation. Some of these secrets can be found by examining how Millennials are discovering their roots with family history. Gen Y has gravitated toward family history through expanding access to online records and a familiarity with the game mechanics inherently present in genealogy. Family history is traditionally associated with our parents and grandparents who would spend hours poring over microfilm and dusty books in what appeared to be an endless quest. Don't get me wrong, we still very much need our libraries, our microfilm and our dusty books, but through digitization, prime-time television and the development of online services, millions of people, younger people, now have an easier way to access their family history. The first secret is accessibility. Gen Y has raised the bar for technology and has challenged companies to constantly improve and innovate. Today researchers can access millions of global records from their living room. Born between 1976 and 2001, Gen Y members are digital natives and have grown up with email, the Internet and social media. We expect that we can type anything into Google and come up with an answer in seconds. My generation thinks genealogy will be similar. "Y's" are interested in a five-minute rather than five-year genealogy. Some baby boomers strive for years to link branches of their family tree together, while Generation Y might "pop-in" from time-to-time to search for a particular ancestor, record, or story. For many, it is the broader story and color behind each discovery that paints the complete family tree. The second secret is the quest. While a look to the past motivates family historians, Gen Y is also motivated by the game mechanics of genealogy, having been raised with video games. Similar to video gamers, genealogists play within their own online communities through genealogical societies, social media and even large-scale indexing projects, like what happened when volunteers indexed the 1940 census. Genealogists like to win the game, progress to the next level and knock down the brick wall when they make a new discovery. Elyse Doerflinger, a 23-year-old professional genealogist sums it up saying in the findmypast.com blog, "It is just plain fun to try to solve the mysteries." The third secret is emotion. 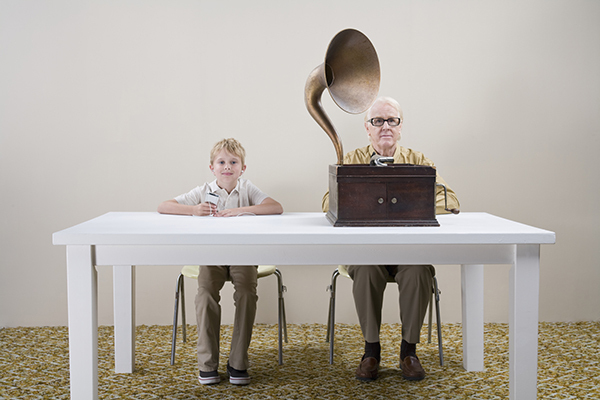 Like the baby boomers before them, Gen Y is motivated by nostalgia and looking to the past. As Tiger Curran, a 25-year-old motion-picture costumer and rap artist says, "Today's society is increasingly ruled by technology -- especially for young people. That's why in order to stay grounded, it's important for me to look back on my roots." For me, in a world where important news is instantly shared in 140 characters or less, taking pause and looking to the past can be a welcome break. Regardless of your age, family history enables you to discover yourself. When economic times are tough, knowing that my great-grandfather worked 80 hours a week at a meager wage to support his family can be a powerful motivator. When personal tragedy strikes, viewing the church records for family and realizing your great-great-grandmother was one of 13 children, only three of whom survived childhood, can send a stinging message of perseverance. When I watch the Fourth of July fireworks blast, I wonder how my 5th-great-grandfather would feel, knowing that he had given his life to the cause of American independence. Genealogy is a hobby where generations meet to share and work together, and in that we can learn a lot about the next generation's preferences and motivations.